Meat is one of the most nutritious foods out there. While most people love a good steak, the media often tells us how “bad” for us it is. The thing is: this message is completely wrong. Steak is healthy, and it’s full of beneficial nutrients that are good for us. This article will look at seven science-backed reasons to support this claim. At the end of the article, you can also find a segment showing the nutrient profile of the most popular cuts of steak. But first, here are the benefits. Despite the widespread fear-mongering over red meat consumption, steak is healthy. Nothing demonstrates this more than seeing the amount of health-promoting nutrients it contains, so let’s take a look. From looking at the studies, we can also see many benefits regarding the nutrient content of steak. Red meat contains protein and essential nutrients which are more bioavailable than in other foods. Notably, several nutrients in steak are in very short supply for some of the population (2). Grass-fed beef is higher in conjugated linoleic acid and omega-3, both of which have benefits for heart health. It is also higher in vitamin A and E and antioxidants that help protect against cancer (3). A reasonable red meat intake is unlikely to increase CVD or colon cancer risk, but may well improve nutrient intake. Beef in general offers many positives for our health (4). Key Point: Steak is healthy due to the wide range of nutrients it provides, many of which the modern diet does not provide in sufficient amounts. There is a prevalent misconception that fats in meat are unhealthy, but nothing could be further from the truth. In particular, it is the artificial and industrial fats such as vegetable oil, margarine and trans fats that we should avoid. Over the past decade, dozens of studies show that naturally occurring dietary fat is nothing to fear. Just last year, a randomized controlled trial found that extremely high intakes of total fat (73% of energy) and saturated fat do not increase cardiovascular risk (5). Steak mainly provides saturated and monounsaturated acids, both of which are vital to our health. Additionally, it contains highly bioavailable forms of omega-3 and conjugated linoleic acid — especially in the case of grass-fed beef. Several studies show that these fatty acids help improve cardiovascular health markers and improve body composition (6, 7). 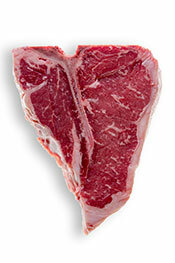 Overall, there is nothing wrong with the fatty acids in red meat, and they add to the reasons of why steak is healthy. Key Point: Naturally occurring fats hold positive benefits for health. However, it’s better to avoid artificial fats that come from a factory. Steak is full of protein, but that isn’t the only reason why it is good for building muscle. Creatine is a compound that science considers to be “the most effective nutritional supplement currently available to athletes” (8). Creatine helps boost athletic endurance and strength, and it also occurs naturally in food, with red meat being the most significant source. So, the question is this; would you rather get your creatine from a powdered supplement or a nice piece of steak? Steak is one of the most significant sources of protein in the human diet. It is also a ‘complete protein,’ which means that it contains the full range of amino acids (9). Studies show that animal protein is a reliable indicator of muscle mass index. Significantly, when the protein intake is the same, a vegetarian diet is associated with a lower muscle mass index than an omnivorous diet (10). Muscle mass index has important links to improved health in many areas, and it is a reliable marker of longevity. Studies show that the more muscle mass we preserve as we age, the longer we can expect to live (11, 12, 13). Key Point: Another reason why steak is healthy is that it offers a significant source of complete protein. In order to live a long life, adequate protein intake is essential for maintaining muscle mass. Don’t worry. Although dietary cholesterol is another nutrient that has been demonized by the government for decades, it is perfectly healthy. For one thing, even the official dietary guidelines admit that cholesterol is “no longer a nutrient of concern” (14). A minority of individuals do experience an increase in low-density lipoprotein (LDL) when they consume more dietary cholesterol. However, in this situation, there is a corresponding increase in circulating HDL too. Cholesterol-rich foods have beneficial impacts on heart health. Not only are eggs one of the richest sources of dietary cholesterol, but they also promote the formation of a less atherogenic LDL profile (15). It’s worth noting that while eggs, organ meats, and shellfish provide significant amounts of dietary cholesterol, they are also some of the most nutritious foods on the planet. All these foods provide choline too, and deficiency in this mineral is an increasing problem. Why? Because of the misplaced fear of dietary cholesterol. Lastly, beef is also one of the highest dietary sources of choline—just another factor that shows why steak is healthy. Key Point: Steak contains a substantial amount of dietary cholesterol, but it isn’t harmful. Even the organization who warned against it have retracted their negative stance. The majority of people love steak, and most have a different preference for how it is cooked. Surprisingly, many cultures eat beef completely raw; from ‘steak tartare’ and ‘carpaccio’ in France and Italy to ‘kitfo’ and ‘yukhoe’ in Ethiopia and Korea. Steak is less prone to bacterial contamination than other meats, so it can range from almost raw to well done. When almost raw, people refer to it as ‘blue rare’; this steak is seared on the outside and still completely red on the inside. In contrast, a well-done steak is 100% brown throughout. Some epidemiological studies have found increased risk of various cancers when cooking meat at high temperatures. As the studies are only observational in nature, there is no definite proof of this. However, cooking meat at high temperatures results in the formation of various suspected carcinogens such as heterocyclic amines and polycyclic aromatic hydrocarbons (16, 17). A study on cooking time and temperature also shows that increasing temperatures over 150 degrees generates more of these compounds (18). Roasting at low temperatures (135°C) results in better taste, less moisture loss and increased tenderness (19). This method of cooking leaves a visual red/pink presence and imparts a better flavor. By the same token, this method of cooking is likely to result in less heat-related damage and a healthier cut of steak. Key Point: Whether or not steak is healthy likely depends on the cooking method; rarer is better. If you are squeamish about blood, then medium is a nice trade-off between health and taste. The most important thing is to avoid burning your steak! Here is another claim that seems to go against popular belief. However, if we look to the science, then we can see sufficient evidence for steak aiding weight loss. Red meat is high in protein and fat, and both of these are much more satiating than refined carbohydrate. Protein is the most satiating macronutrient (20, 21). A recent analysis from the United States National Health and Nutrition Examination Survey (NHANES) found that people who eat red meat more often have a lower body mass index and a smaller waist circumference (22). In a 28-day study, individuals were assigned to a high red meat and very low carb diet (<20g per day). In summary, results showed significant weight loss (-5.26kg) with no evidence of an adverse effect on cardiovascular risk (23). Eating foods high in dietary protein such as steak encourage a healthy body weight and composition. Not only through the effect on satiety but also by improving stamina and vitality (24). Key Point: Despite the widespread belief that steak is a waist-expanding food, it helps aids weight loss. For the most part, this is likely down to improvements in satiety. A juicy, succulent ribeye steak perfectly seasoned with salt and pepper? Or perhaps you like it liberally covered in garlic butter? Whatever your favorite steak choice may be, it certainly isn’t lacking in the taste department. And for any health food—which steak is—being highly satiating, rewarding, and fulfilling is critical to dietary adherence. To demonstrate, imagine there are two diets. Diet 1: Heavily features low-fat crackers, skim milk, and lean chicken breasts. Diet 2: Typically features fatty cuts of steak, cheddar cheese, and whole milk. In this case, the first diet offers bland foods that are low-calorie (and also very low in nutrients). As a result, neither your body nor your taste buds will be happy, and the diet will prove unsustainable. However, the second diet provides delicious tasting foods that are crammed full of essential nutrients. Specifically, they reward in terms of taste and by giving the body the fuel it requires. Key Point: Steak is an extremely delicious, sustainable, and fulfilling food that people enjoy eating. For all the reasons listed in this article and more, we should recognize steak for what it is; a healthy food. In what kind of world do we live when we accuse steak of being “dangerous”, while at the same time promoting ultra-processed cereals and margarine as “heart healthy”? To be honest, it is laughable. Grass-Fed vs Grain-Fed Beef: Which Is Better? I love eating steak and I’m very glad to have read what you said. How frequently should someone eat steak since it’s really healthy to eat? There isn’t really a “right amount” of times to eat any food – this depends on the overall diet, what you enjoy, what nutrients you’re getting and so on. Personally, I eat steak three or four times per week. Glad to hear that, Roy. Hope everything keeps going well! Where are the peer reviewed articles that suggest the consumption of foods high in LDL-cholesterol (such as steak) do not increase the blood cholesterol level, which again increases risk of heart disease! As a carnivore, I appreciate this post. Generally, when I eat red meat it’ll be a ribeye or t-bone grilled to medium. I’ll have this like 4 times a week. The dome temperature on my BBQ will read 600F & takes about 10 to 12 minutes. Should I be worried about too much carcinogens? Ribeye or T-bone – yum. With the studies on carcinogens and high heat cooking, they are all epidemiological. In other words, we can’t be sure there is a connection at all but there seems to be an association. BBQ food tastes great and if it’s something you enjoy, then I wouldn’t give it up. But if it were me, I’d probably cut down on the BBQing and do lower heat cooking some of the time. Are you sure your data for Tenderloin is correct? Calories: 324 Fat: 324. Is this perhaps a typo? Thank you so much for a wonderful blog. I look forward to reading it every time there is a new posting. 324g fat per 100g would be a little fattening I think. Good job on spotting that & thanks for letting me know – now changed!